Many organizations approach compliance as merely the task of training staff and checking it off on a list. Often compliance programs are not organized and properly maintained, which can lead to complaints, auditing, fines, and possible litigation. Healthcare compliance is more than training, and it is a necessary part of providing patients with quality care. Managing compliance programs should never be done to meet the bare minimum standards; organizations should work to create a culture of quality and compliance as a part of their strategic plan. Healthcare organizations should continually strive to improve their knowledge so that patients can receive the best possible care. Compliance requires that employees understand all written policies. Regulations like HIPAA or OSHA standards require that you have written workplace policies and procedures that explain the intent and the process along with all the things your organization does to meet different requirements. It’s not enough that people simply go to the training; they need to understand the necessity of the training, how to implement it in the workplace, and the consequences associated with not meeting the standards. Regulatory agencies require you to monitor the field for any changes, any new interpretations to existing policies, or any new requirements. It is your obligation to remain vigilant in your search for any updates and to make sure that any policies put into place by your organization are as current as possible. Another key component to compliance is to ensure that employees are properly trained and updated. You will need to utilize a robust system that can be updated quickly and is easily accessible to employees. The system should include monitoring tools for managers to ensure that they can track the progress of their subordinates and provide feedback as necessary. Managing compliance programs requires that healthcare organizations constantly assess themselves by asking the right questions. Proper documentation and records tracking plays a major role in ensuring the success of the compliance program. If your organization gets audited, having your documentation to include policies, checklists, and certificates in a centralized location will help to ensure that the process runs as smoothly as a possible. Finally, having an active compliance program serves as the backbone to making sure that your organization is not penalized if you end up being investigated. Regular audits are conducted to ensure that organizations are adhering to laws and regulation by maintaining progroms that are active and relevant. Healthcare organizations can take a proactive stance by working to ensure that they have self-monitoring and auditing mechanisms in place that will allow them to make corrections immediately. For many healthcare organizations, managing compliance programs can be overwhelming. Even with the best intentions, one mistake can be costly. Additionally, the time spent managing these programs can also affect your bottom line, because this means that less time is spent attending to patients. 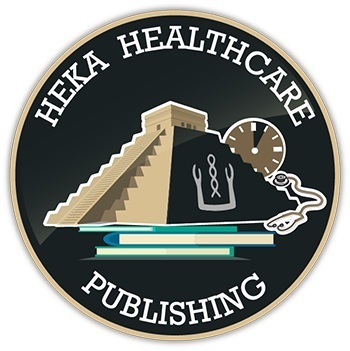 Heka Healthcare Consulting can assist your organization with all of its compliance training needs. If your organization is in need of an affordable, comprehensive solution to managing your compliance process complete the form below or contact us directly at admin@hekaconsulting.com to set up a free consultation.